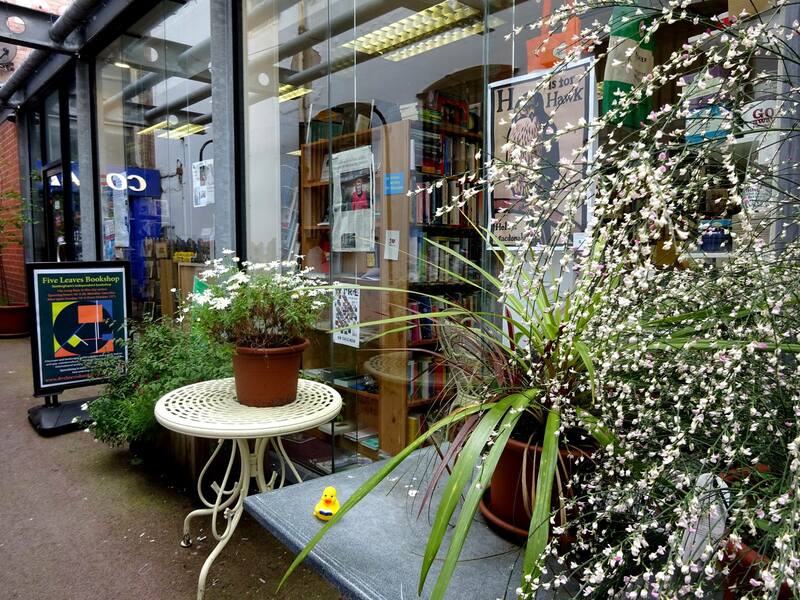 “Five Leaves Bookshop in Nottingham became the first radical bookshop to have won the Independent Bookshop of the Year Award at the British Book Awards, the booktrade equivalent of the Oscars. The bookshop was presented with a cheque for £5000 and a trophy by author Benjamin Zephaniah at a “black tie” event at Grosvenor House in London in front of around a thousand people from the book trade nationally. 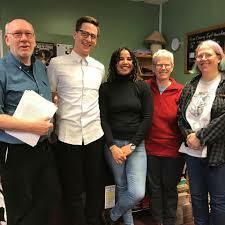 The judges of the Independent Book Awards identified Five Leaves’ key strengths as including a sharp increase in sales in 2017, putting on around 90 events over the last year attended by over 6,000 people, having a politically-conscious outlook with initiatives including Nottingham’s first ever radical bookfair (which included a stand from the Morning Star) and an extensive in-house publishing programme. Beyond all of that “Five Leaves creates a distinct identity out of its emphasis on political and social issues, a passion for diversity and a reputation for poetry” carrying a stock that is “finely tuned to its market”. Five Leaves began life as a publisher in 1995, opening the bookshop in 2013, giving special interest to literature and to books advocating social change. This June the bookshop launches the national Feminist Book Fortnight, with the support of thirty other independents across the country. 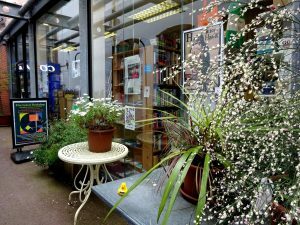 Five Leaves is proud to pay a minimum of the Living Wage to all members of staff, which team includes people who used to work at Waterstones, Blackwells and Leicester University Bookshop, while owner Ross Bradshaw worked for many years at a previous radical bookshop in Nottingham, Mushroom Bookshop. Among the other winners, the publisher of the year HarperCollins was credited for “making great strides … on diversity” by increasing the number of Black and minority ethnic (BME) authors it publishes and for being the only publisher to feature in the Business in the Community’s Best Employers for Race list. Faber, winner of the Independent Publisher of the Year award, was also praised for its commitment to Black and minority ethnic internships and work with Creative Access, an organisation which aims to increase the number of BME workers in creative industries.